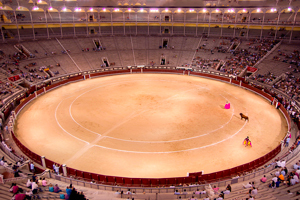 Visita Madrid's Plaza de Toros and its museum with an audio-guide! Visit the Plaza de Las Ventas which is situated on Calle de Alcalá in one of the city's tourist districts. This is one of the best ways that a tourist can choose in order to obtain a greater understanding of Spanish culture. The Tour of the Plaza de Las Ventas in Madrid is a tour for tourists with an audio-guide which enables visitors to gain a more in-depth knowledge of the history of this marvellous and majestic bullring and the museum inside in a fun and interesting way. In this article, you will find all the information you need on how to get there and how to visit the bullring without having to queue at the entrance with tickets that can be purchased on-line. Visit the bullfighting museum inside the Plaza, the infirmary and the two chapels that are dedicated to the Virgin of Guadalupe and the Virgin of the Doves. For anyone who loves to immerse themselves in the discovery of different cultures, learning about history and visiting famous places, the Plaza de Toros in Madrid is an experience which you cannot afford to miss. The tour includes a visit to the bullfighting museum, las Puertas de las Cuadrillas, the two chapels, the infirmary, the entrances used by the matadors and the bullring itself which measures 60 metres in diameter. This tour will enable you to visit different areas of the bullring with a wonderful commentary provided by the audio-guide. In addition to this, you will learn about the fascinating rituals of this spectacular tradition which has influenced the lives of many generations of Spaniards. The tour starts at the Puerta de las Cuadrillas, also known as the Puerta Grande, (the Great Door), where you can admire the plaques and tributes that commemorate past glories. We should point out that during the tour, it will not be possible to see an actual bullfight. At the Puerta Grande, amongst the many plaques that are on show, you will find one that commemorates the bullring's initial inauguration on the 16th June, 1931. It was on this exact date that 8 matadors took part in the first bullfight in this bullring. This was just a charity event as the bullring was not officially inaugurated until 1934 when the works were fully completed. You don't need to print the tickets off, just down-load them on to your smartphone and show them upon arrival at the entrance to the Plaza.